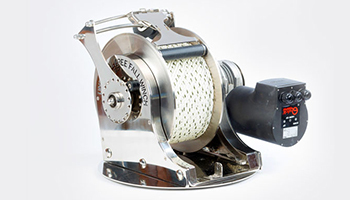 Maximise your time on the water with the Universal Free Fall Anchor Winch. 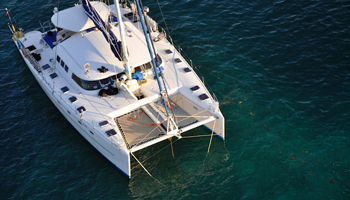 It guarantees no rope or chain jams, creating perfect spooling and incredible ease of dropping the anchor every time. We offer a range of premium free fall winch solutions, combined with an exceptional level of engineering and anchoring perfection to ensure a seamless experience with every use. Our patented guidance arm & pressure roller is the secret to a perfect spooling experience. Working in tandem with the free fall mechanism means you'll never have a rope jam or drift off your spot. 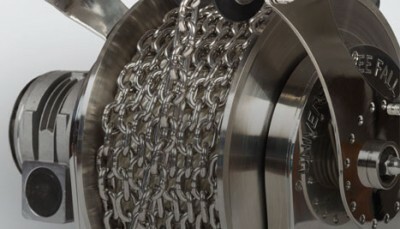 The Universal Free Fall Anchor Winch is engineered with the highest quality 316 marine grade stainless steel and tailor made for recreational and commercial use, making it easy for anyone to use. The patented guidance arm is the secret to perfect spooling. Taming the chain or rope, guiding it exactly into place every single time. This works in tandem with the free fall mechanism, ensuring rapid and accurate anchor down. This means your boat will never drift around and you’ll never have a rope or chain jam, making it easy to raise and lower the anchor. The Universal Free Fall Anchor Winch comes with a 10-year structural guarantee. We promise all our products are built with the highest quality of materials and are exceptionally engineered without compromise. You’ll discover this too, well beyond 10 years of perfect anchoring. Because you deserve to enjoy every minute with your boat! We have a range of marine stores throughout Australia that stock the Universal Free Fall Winch Head on over to our stockist page and checkout a Free Fall Winch near you.